Today, marks the 50th anniversary of the Legos brick. Happy birthday to one of the greatest toys ever invented for children. Legos have expanded more children’s minds with the building of nearly everything from houses to airplanes and all things in between including that what children just dreamed up on their own. Once again Legos … Happy 50th Birthday to easily one of the top 5 toys of all times. Legos are truly building blocks of child and adult learning. The Lego company plans to celebrate the anniversary with, among other things, a worldwide contest to discover the best kid Lego builder. Each country will have its own national champion, Lego promises, and these lucky kids will get the right to come to headquarters in Denmark to fight it out for the world title. Having, as I said above, covered two adult U.S. national model builder competitions, I can tell you that these things are great. I don’t know what Lego plans for the kids, but if it’s like the adult version, they’ll get some time to pull bricks from endless bins, and then a few hours to build something magical. They’ll also have to all craft the same object, with the best models getting a leg up for later in the competition. 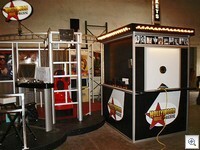 The Hollywood Movie Machine … So You Want to be in the Movies, Now Its a Reality. Imagine playing Humphrey Bogart in Casablanca? Or dream you are Judy Garland in The Wizard of OZ or more recently, any one of the numerous characters from The Lord of the Rings? Think it is impossible, not any more. Thanks to an innovative and amazing new video experience, The Hollywood Movie Machine. You too can be a star. You can be your favorite star for a day and get your 15 minutes of fame without having to have an embarrassing video pop up on You Tube that requires more explaining than fame. However, in this case with The Hollywood Movie Machine Experience you can replay your 15 minutes of fame over and over again. The Hollywood Movie Machineâ„¢ makes it possible for the consumer to magically appear on-screen as if they actually are that famous actor, singer or celebrity – granting them their very own 15 Minutes of Fame. Through a fun and interactive “Hollywood Movie Making Experience”, a participant’s face and voice electronically replaces the original performer’s face and voice in a clip from a variety of famous Movies, TV Programs, Music Videos, Cartoons, or even Video Games. 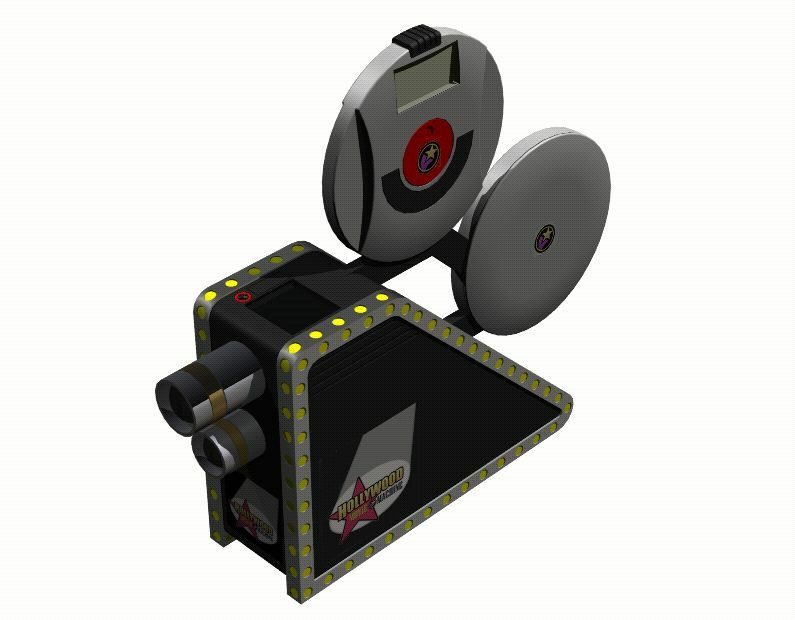 The Hollywood Movie Machine will come in a retail and home version. However, it does not stop there. Larry Garrison, President of Silvercreek is developing the concept for a reality TV series and a feature based on The Hollywood Movie Machine. Move over, American Idol … The Hollywood Movie Machine Reality “SCREEN TEST” is coming. For all those individuals who participate in reality series to gain fame and fortune or their 15 minutes within the music industry, one for acting is right around the corner. Imagine being discovered by those in the movie industry, this reality TV show is the next big reality show vehicle to do just that. Larry Garrison known as “The NewsBreaker” and also of President of SilverCreek Entertainment in Los Angeles, CA is in development of a reality series and a feature based on “The Hollywood Movie Machine.” Pixie Monroe has been tapped for casting. Garrison states that The Hollywood Movie Machine will sweep the nation in movie theatres and malls, and equates the home version to be a family oriented innovation for young and old alike. Dante Grayson has been instrumental in making Jamie and Dennis’s dream come true. He has worked aiding in financing the development of the machines. He has also been influential on the series and feature, and will work producing with his company and Executive Producer Larry Garrison. 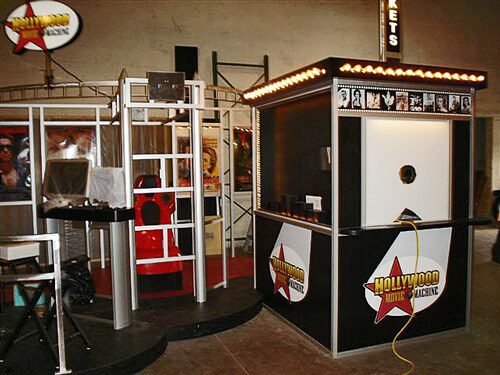 The Hollywood Movie Machine, great for the family, entertainment for all ages, providing you with your moment of fame and soon to be a TV acting reality series. Its in the GPS Shoes … Gimmick … or Effective GPS Gadget? Quantum Satellite Technology and the brain child of Isaac Daniel will be putting out next month a line of adult GPS shoes ranging in price from $325 to $350. A children’s line will be offered this summer. The purpose of the shoe is to locate the wearer; “It promises to locate the wearer anywhere in the world with the press of a button”. A question arises, what happens if the wearer can’t push the button? It’s the latest implementation of satellite-based navigation into everyday life – technology that can be found in everything from cell phones that help keep kids away from sexual predators to fitness watches that track heart rate and distance. Shoes aren’t as easy to lose, unlike phones, watches and bracelets. … like to find out if a teen is really at the library or a spouse is really on a business trip. If authorities are called and it is not an emergency, the wearer will incur all law enforcement costs, Daniel said. In theory, this is a great idea. Any idea to keep children safe or find missing children or adults. However, with this type of technology out there wouldn’t the sexual predators know it exists too? I could see the very first thing a sexual predator does is takes a child’s shoes off and throws them in the garbage or along the road side. A micro-chip on or in any article of clothing can be rendered useless by removing the article of clothing. The criminal mind knows these things. If you are looking for an easy to use and great program to use with your weblog, try blogjet . It works with most blogging software and has made me much more efficient. The software does a couple of things that I especially appreciate. First, you can drag and drop from a web page. So the internal links are maintained. That in itself is a huge timesaver. Pictures are also included with the drag and drop feature, although they do not normally work as well. Also, it allows you to work in a WYSIWYG environment. If you need to tweak the htlm, you can in the code section. That makes life much easier for the newbie blogger. The only real weakness I have found with the product is that with WordPress 1.5 I need to post it as a draft as the time feature has not worked correctly. The program is available for free for 30 days, and then you can purchase it for 40 dollars. First thing, I can not stand real media player. The ethics of the company, hiding shareware in the install process has always made me furious. I refuse to install it on my computers. However, watching the controversy over the RIAA and the downloading of music has been something I have watched. It has been my assumption that music is fighting to be free, and once it is so, the artists stand to make much more money than they are now. As long as the record companies control the distribution of music, the artists will never achieve their earning potential. The biggest stars make their millions, but every other artist subsidizes the stars and typically barely breaks even selling their music through the record companies. So today RealNetworks announced that if you download and install the Rhapsody software, they will give you 25 songs. That is not bad. My only fear is that in doing so, they will install spyware on the computer to make up some of the money that they are losing giving away the music. For the consumer, it is a windfall, and there is no commitment to buy any more music. Soon most artists not under a contract will put their music out for free, and the exposure they will recieve will be much greater than any record label would ever give them.